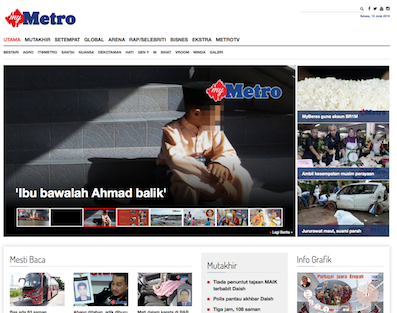 The nation's best selling newspaper was the first Bahasa Malaysia tabloid. Its growth was phenomenal, from a mere 106,000 readers in 1993 to more than three million last year. 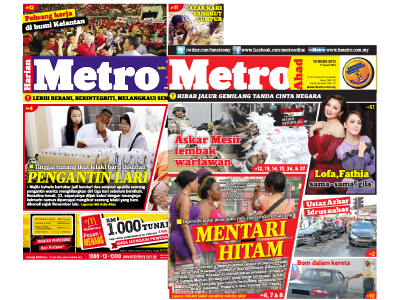 Whether it is the makcik in the kampung or young professionals in Klang Valley, our readers can’t get enough of Metro’s screaming headline and sensational stories. Your experience doesn't end with the paper.